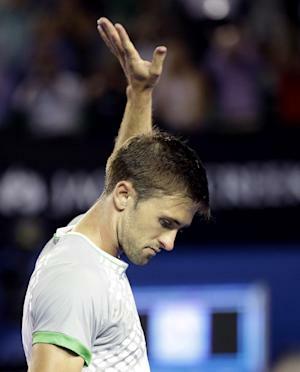 AUSTRALIAN OPEN: Tennis has Smyczek’s Moment of Sportsmanship, NFL has Deflategate. Which One Do We Really Respect? Four hours into the fight Wednesday, Tim Smyczek, Packers fan from Milwaukee, was sticking with Rafael Nadal, greatest player of all time, at the Australian Open. It was one of those moments when you reach heights that. . .”He was sick and not playing well,” Smyczek said, trying to ruin the story. Whatever. Nadal led 6-5, 30-love, fifth set. He tossed to serve and someone in the crowd screamed. It distracted him and he missed wildly. And then what? Here’s what: Smyczek secretly took the ball, stuffed it in his pocket, reached down and popped a hole in the seam with his fingernail. The ball turned to mush, which meant that it wouldn’t bounce much, negating Nadal’s wicked topspin. Smygate! The American way! No wait. That’s not what happened. Smyczek didn’t Belichick the ball at all. What really happened was this: He told the chair umpire to let Nadal hit his first serve again. A do-over was not required under the rules. Nadal then served again and won the point. A few minutes later, Nadal won 6-2, 3-6, 6-7 (7-2), 6-3, 7-5. Sportmanship lives. Smyczek did it at risk to his career moment. It was the right thing, wasn’t it? Because it stands in such stark contrast to the big story in sports today: the New England Patriots deflating 11 of the 12 footballs used in the AFC title game, theoretically to fit better into the small hands of Patriots quarterback Tom Brady.